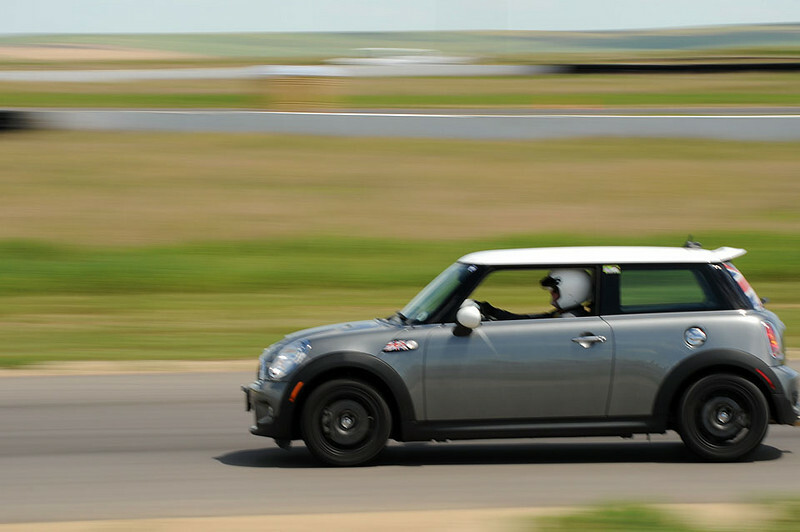 Open track day at the brand new track High Plains Raceway, near Byers, Colo. The event was sponsored by LOCO (Lotus Colorado). MINI5280 club members were invited to attend the June 28, 2009 event. This was not racing, rather it was controlled driving with instructors available and passing allowed only on the two straight-away sections. Cars/drivers were divided into various groups, depending on previous track experience, car type, etc. Each session last about 20 minutes. Long enough to get your car's engine and brakes hot and your muscles tired.